Partnership opportunities are available for six major technical projects that will be conducted through the Transportation Association of Canada (TAC)’s pooled-fund model. Project partners provide funding according to their level of interest and ability, and receive a seat on the project steering committee where they shape the terms of reference and guide the project consultant. Please contact TAC if your agency or organization is interested in being a project partner. 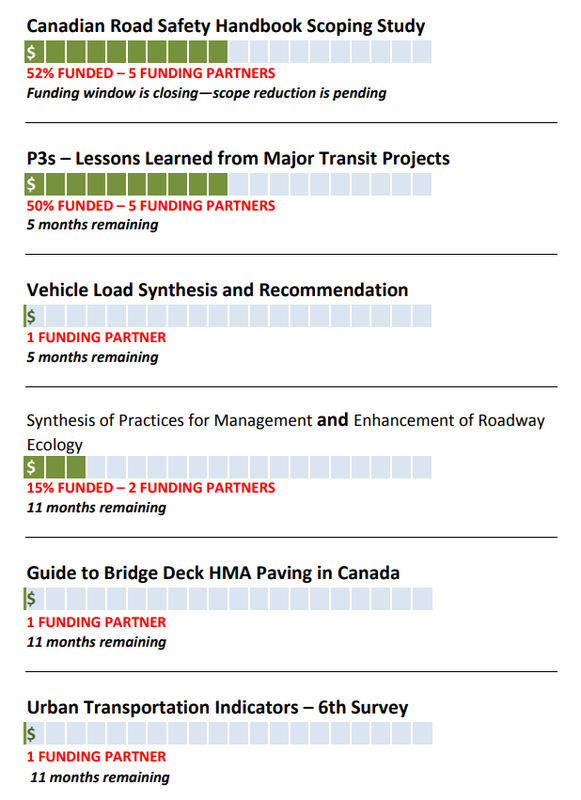 Note that projects with less than 75% funding after 18 months may be cancelled.